Brett Simpson, Chief Executive Officer of the Bridon-Bekaert Ropes Group, is an executive leader with over 30 years of global business experience. During his earlier career, Brett worked for The Dow Chemical Company joining Dow in 1986 as a production engineer. He progressed rapidly through the organisation and during his tenure with the business, enjoyed a diverse and international career. He gained a variety of experiences in engineering, operational, commercial & business management and successfully led a number of divisions, joint ventures and M&A assignments across the globe. After 23 years with Dow Chemical, he joined LBC Tank Terminals Group in 2009 as Chief Executive Officer where he is widely credited with spearheading an aggressive programme of change and transformation to establish LBC as the preferred global provider of bulk liquid storage solutions. He stepped down in 2014 to become the Chief Executive Officer of London listed Low & Bonar plc where he led a significant turnaround in the group performance as well as global re-organisation and rebranding of the business. Brett’s appointment as Chief Executive Officer of FTSE 250 listed Fenner plc was announced in December 2017, before the company was acquired by Michelin. An Australian national heralding from Melbourne, Brett is a chemical engineering graduate from Monash University, holds an MBA from Columbia University, New York and is a Fellow of the Institute of Directors. He has lived and worked in Australia, Hong Kong, China, USA, Switzerland, Belgium and the UK. Today Brett lives in Edinburgh with his wife and two children. Mervyn spent much of his career in the oil industry, with BP, where he held a number of positions in the UK and abroad related to oil trading and the development of refining and petrochemical assets. Since leaving BP, Mervyn has taken an active role in the growth of knowledge exchange and technology spin-outs from universities in Scotland. From the business perspective he has been chairman or a director of a number of companies . Mervyn was a non-executive member of Court at the University of St Andrews and a council member of the Scottish Funding Council and a member of the advisory board of the marine science research pool (MASTS). Mervyn is active in the development of corporate governance and he was awarded the Scottish non-executive director of the year in 2009 and the UK director of the year for environmental responsibility in 2010. Mr. Glynn is a member of the boards of two public companies, Sun Life Financial Inc. and Husky Energy Inc. He is also the current Chairman of Public Sector Pension Investment Board (“PSP Investments) and past Chairman of UBC Investment Management Trust Inc. Mr. Glynn is also a Senior Advisor to Balfour Pacific Real Estate. 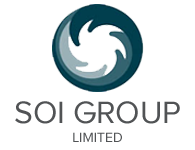 In Scotland, Mr. Glynn serves as a director of the SOI Group Ltd., a wholly owned subsidiary of the University of St Andrews, which is closely associated with Scottish Oceans Institute. Until his retirement in 2006, Mr. Glynn held progressively senior positions over 24 years with HSBC including President and CEO of HSBC Bank Canada from 1999 to 2003 and President and CEO of HSBC Bank USA from 2003 to 2006. Mr. Glynn remains active in business and community circles. He holds a BA Honours in Economics from Carleton University and an MBA Finance and International Business from the University of British Columbia. Mr. Glynn was also the Jarislowsky Fellow in Business Management, Haskayne School of Business, University of Calgary from 2009 to 2010.